Engadget made a short video of Canon’s new PowerShot N100 camera at the Consumer Electronic Show, currently taking place at Las Vegas. It comes with a tilt display, WiFi and NFC, and a rear facing camera (dual capture) to get unique moments on your life (and your life as photographer). 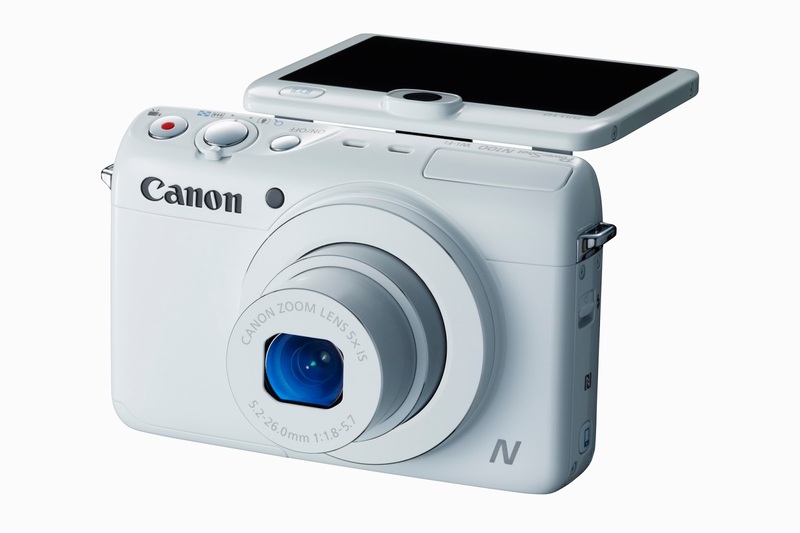 The back camera is named “Story Camera” by Canon: “with the innovative and new Dual Capture mode, users can simultaneously capture special moments using the Main Camera, while the Story Camera, a rear facing sub-camera, will embed a picture of them onto the main image“. Dual Capture uses a rear-facing secondary camera to capture your expression while shooting and then creates a picture-in-picture effect. Story Highlights automatically selects and compiles images into an exciting highlight reel within the camera without the use of software. Built-in Wi-Fi allows wireless transferring of images and video to compatible mobile devices, select social networking sites and your Wi-Fi enabled computer, and lets you remotely shoot using your smartphone or tablet. For easier Wi-Fi connectivity, built-in NFC (Near Field Communication) allows quick and simple pairing to a compatible Android device. The convenient Mobile Device Connect Button allows you to connect to your compatible Android or iOS device for quick and easy sharing. 5x Optical Zoom, bright f/1.8 and 24mm Wide-Angle lens with Optical Image Stabilizer for excellent image quality. 12.1 Megapixel High-Sensitivity CMOS sensor combined with the DIGIC 6 Image Processor creates the Canon HS SYSTEM, which helps provide excellent low-light performance. 3.0-inch tilt, capacitive touch panel LCD helps provide flexibility. Available in May 2014 for $350 list price.